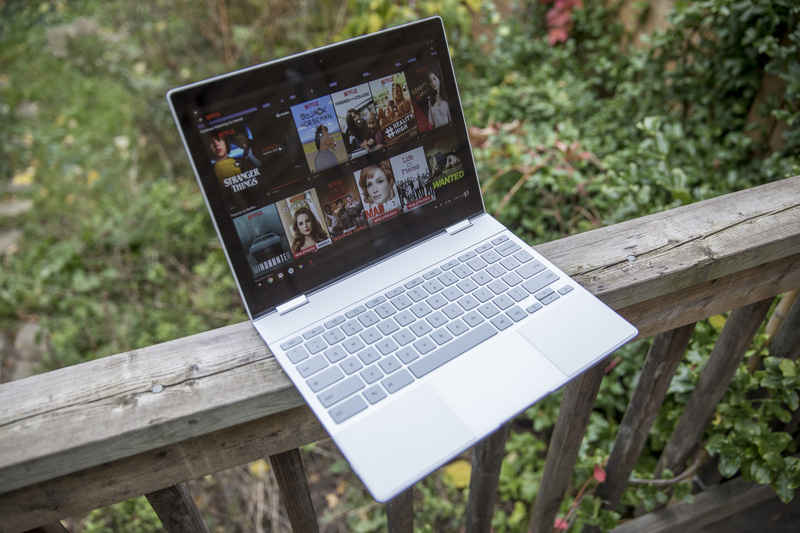 The Google Pixelbook is a bit of an odd duck among notebooks, or among tablets – or even among notebook/tablet hybrids. It’s a Chromebook, which by now is an established category, though one with very specific appeal; and it runs Android apps, which makes it feel very much like an iPad competitor. It’s a great device in terms of hardware build and general performance, but it’s obviously not going to work for everyone. It is, however, perfect for one use case, and maybe more so than any other gadget that preceded it: Travel. Pixelbook was my companion for a couple recent trips, and it proved more than equal to the task. The form factor in particular is a big boon, since the convertible keyboard that tucks under the display means you can use it during taxi and takeoff without getting any flack from the flight attendants. It’s also great for ensuring a comfortable viewing angle regardless of how little room you have, owing either to just general airline seat design or to front neighbors who insist on reclining even though we all know that the only people who do so are selfish inconsiderate monsters. Using it in “entertainment mode,” with the keyboard reversed and the screen coming forward, proves the perfect solution for watching movies on the foldout meal tray, for instance. And the tent mode is also effective for lower viewing angles depending on whether your maybe get bumped into business. It’s also still a relatively compact notebook for use as an actual notebook with keyboard for when you want to get work done while up in the air. The ability to use Android apps provides even more flexibility in terms of travel options, since you can do things like save Netflix shows for offline viewing. One caveat here: I tried to do the same with Amazon Prime Video, and found that playback stuttered in a way that was unacceptable to me, at least. This seems to be one of the bugs that still affect some Android apps when working in Chrome OS, and will hopefully be resolved via future updates on either the Chrome or Prime app side. Pixelbook can also act as a great offline reader, again supported by the Android app library including Kindle, and it’s a terrific virtual notebook or sketchbook if your interests lean that way thanks to the Pixelbook Pen and its terrific, low latency input. Physical controls and USB-C ports make it a bit more flexible than the iPad for doing things like editing photos in the air, and even though its operating system is based around a web browser, there’s actually a lot it can do while offline. The 10 hours or so of battery life that Google claims for the Pixelbook holds especially true when you’re connecting to the web only intermittently or while laying over between flights, too. One other thing makes it a superior notebook either while travelling, or any time: That keyboard. It’s probably the most satisfying keyboard to type on I’ve ever experienced in a notebook computer, with responsive, pleasing tactile key response, but with minimal noise, which is perfect for confined quarters like an airplane cabin (and starkly opposite the effect of the current MacBook Pro means of type input). Ultimately a lot of mobile devices travel well these days, but the Pixelbook just seems particularly well-suited to this task. It’s also impressive how far Chrome OS has come in terms of serving the needs of a greater number of customers – it’s very close to being the only device I need to get everything done both personally and professionally, and for a lot of people I’m sure it’s already there.